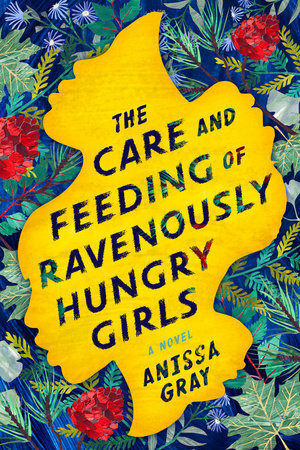 The following is from Anissa Gray's novel, The Care and Feeding of Ravenously Hungry Girls. The Butler family has had their share of trials—as sisters Althea, Viola, and Lillian can attest—but nothing prepared them for the literal trial that will upend their lives. Anissa Gray is an Emmy and duPont-Columbia award-winning journalist at CNN Worldwide. She began her career at Reuters as a reporter, based in New York, covering business news and international finance. I sit on the floor and rest my back against the bed. Glance down at my watch. Six thirty. Eva will be home from work any minute. No, this very minute. There’s the door. “I’m back here,” I yell in the direction of the front room. I catch myself squeezing and rubbing my fingers, nervously. A bad habit. I stop and slide my hands under my thighs. I feel caught in a lie, but still I go on: “I guess those shoes could be in a box I haven’t gotten to yet.” In point of fact, I haven’t gotten to any of the boxes yet. “What are you doing here, Viola?” This time her voice is quieter. The knife, sheathed. “What is it?” She looks at me closely, her eyes roaming over the topography of my face, and I worry that she’ll arrive at the truth. 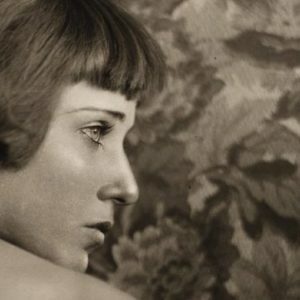 Isn’t it right there in the sharp, high ridges of my cheekbones? In the gaunt gorges of my cheeks? In the squared‑off formation of a jawline that’s unusually pronounced? She hasn’t seen me in days. She’ll notice. “I know,” I say, about to sit on the bed but catching myself. That bed doesn’t belong to me anymore. Nothing in this room does. I lower myself to the floor again. “Like I said, I wasn’t able to leave town in time.” I look over at our two khaki‑colored reading chairs sitting expectantly by the window. At the books on Eva’s nightstand: Written on the Body, Dream Work. At the empty nightstand by what used to be my side of the bed. “But I’m going to head up to Michigan when I leave here,” I say. She sits on the floor beside me. Takes her pumps off and massages one of her high arches. She’s short, even in heels, but she has this particular kind of stature—self‑assurance, genuine earnestness—born of boarding school and Ivy League breeding. She stretches, and I smell home: the faded flowers and vanilla of her perfume; sweat from teaching and student meetings and all the things a good academic does in a day. A good academic. A good, honest woman. I taste the lies at the back of my throat. A confession comes up from out of nowhere: “I saw coverage on television. I watched it—stop looking at me like that—I watched it on my laptop.” Sitting there paralyzed on one of my moving boxes. With my car keys in my hand. She gives me a look that says, It doesn’t have to be this way. If only you’d be more open; if only you’d go to couple’s therapy, like I’ve asked; if only you’d get any therapy at this point; if only you were a little less you; if only; if only; if only. I sit on the bed, suddenly too exhausted to care about the division of formerly joint‑owned property. I nod, picturing Althea back then, when we were younger, with her Angela Davis afro, her bell‑bottoms and butterfly clogs. “She made me practice, relentlessly. And she would teach me new words, too. Simpatico. She taught me that word. Where would she have learned that? She wasn’t a word person.” I pause, thinking. I was the word person. I think sometimes she learned things she had no interest in, just for me. We’d sit together at the kitchen table, just the two of us. Practicing or talking or whatever. Even when we didn’t have any electricity, which was a regular occurrence, she’d grab a flashlight or light candles. “I imagine Althea was a pretty dedicated teacher,” Eva says. “Althea was more than a teacher,” I say. Althea was sister, mother, friend, all the world to me. “I bet she wants to make things right, Viola,” Eva says, looking down at the letter in my hand. “I don’t know.” Althea isn’t the contrite, introspective type. The last time I saw her, no, I mean the last time I argued with her, I told her as much. You have too many blind spots, Althea, I said, deeply upset. And I worry that, even when you’re shown, you still refuse to see. She grabs my hand and holds tight. “The twins. They’re effectively orphans now.” Just like we were. “I’m so sorry,” Eva says, raising my hand to her lips to kiss my fingers. I squeeze her hand and hold on for a moment. Then, I let go. I tuck my pile of mail under my arm and get up, looking again at our reading chairs by the window. Wanting nothing more than to sit in my chair while she sits in hers, both of us with a good book, like we used to. Me, blocking out crimes and punishments and the misfortunes of orphans. We stand, facing each other, on the edge of yet another precipice. “I don’t want to fight with you,” I say. Eva presses her fingers to her eyes, spent before we even begin. “Neither do I,” she breathes. Eva lets out a resigned breath. “Fine. Go do that. By yourself.” I start for the door. There are the chairs, together. The bed: my side, her side. My empty dresser. Our room in our dream home that we shared for three years. A condo downtown, after years of living in an actual house in the suburbs for most of those fifteen years. I head out the bedroom door and stop in the kitchen. I take my keys out of my pocket and look at them for a moment. I slip my house key off the ring and leave it on the cool, concrete countertop. I hug my week’s worth of mail to my chest and leave. But not bound for Lillian’s. You okay? I’ d be lying if I told you I’m not still trying to get my mind wrapped around this. So much for the hopes of first-time offenders. Yesterday, I heard this brother say, “The community wouldn’t have stood for nothing less.” I acted like I didn’t hear him and went on about my business, but I wanted to pop him one because all I could think about was you in that courtroom, falling out like you did, down there on the floor, gone, and seeing Baby Vi back there crying in Lillian’s arms and Lillian looking at me like DO SOMETHING! And the whole time, I’m worried to death about where Kim is. I swear to God, I’ve never felt so useless. It brought me to my own knees inside. In a lot of ways, I’m still there, this close to popping the next person who tells me what we deserve. I know we did wrong and we’ll pay for that, but you can’t tell me that that judge couldn’t have found something between a smack on the wrist and a beatdown. My man went for the beatdown with us, straight up. I tried to write you the other day, right when I got back from sentencing. I started a couple of letters, but I couldn’t finish them. I was in my Darth Vader Space, all darkness and doom, writing crazy stuff. You know how I get. I tell you, being able to play the “community guitar” is truly therapy for a brother’s soul. The guitar’s not a Gibson, but it’ll do. Your boy would play all day every day if they’d let me. But man can’t live on guitar alone, so there’s the Prozac, which, I got to say, doesn’t look like it’s doing a damn thing. But I need to know, are you doing any better? I saw our friend up here today. He said he saw you and you were talking to him about his son and family like you usually do. He said you seemed okay. Is he right? Anyway, I’m glad I waited a couple days to write. Guess what I saw this morning? We were finally able to get out after all that rain, and you know me, I was chomping at the bit while some people were complaining about the damp and the cold and this and that. I made it outside first and there it was, a deer standing out there past the fence on the edge of the woods. It was over on that end with the basketball courts. The deer was picking around in the brush, and there was sun coming down through the breaks in the clouds. It was the kind of thing you see on a postcard or something. Can you picture it? And before the rest of the guys came out and scared her off, that deer raised her head and looked at me across all that distance between the woods and where I was in the yard. And I swear, this calm came over me that I get sometimes when I’m out hunting and I’ve been still for a long time before seeing something. It’s like me and whatever I have in my sights are both part of this natural order and there’s a rightness to everything. Feeling something like that when I was still so torn up from the sentencing, it was like nature was saying, There’s still beauty and light, man. That’s nature. That’s your true nature. What do they say? The better angels of your nature? But enough of my philosophizing. It’s time for the most important thing, which is getting things set up for the girls now that we know what’s what. I just can’t get my head around the fact that we won’t be raising our own kids. No driver’s training, no prom, no dropping them off at college. I hope this finally makes you see that you need to let the girls come up and see you. It was one thing to say “I don’t want them seeing me this way” when we were going through all of this waiting and the trial. But I’m not stupid. I know why you won’t see them. Well, I know why you won’t see Kim. But they need to see you. You got that now, right? Especially Kim. Did you read her letter I sent you? And I may as well go ahead and say this. It’s time to stop going over and over which one of us did what and this and that. I made my choices, and I can live with them. Before I close out, though, I wanted to tell you that that picture you sent was nice, so thank you for that. I’ll give it to her, your girl Mercedes is some kind of artist, but, still, please be careful. You know crazy can’t help but do crazy, so watch yourself with her, please. I wish you’ d stay away from her like I asked you to, but when have you ever listened to me? Anyway, the picture of you is beautiful, and I’m happy to have it. I couldn’t imagine a better anniversary gift. It looks a lot like you, and I see you’re standing in your special place, “River Girl.” There’s even our tree in the background. I’m looking at the picture now while I sit here writing to you. I have it taped up over my bunk. When I look at it, it reminds me of all the things that have survived through all this. That tree was here before either one of us, and it stood right through the Great Flood. Remember that because that has to be us, right? P+A. Can you believe we’ve been married 30 years? And we made us two kids. That’s something we did right, isn’t it? I’ve had this song running over and over in my head like a reminder that things can’t change us so much. Not for the bad, if we’re careful. Time for the hint. And yes, I still like doing this, which means, yes, we’re keeping it going, so stop trying to quit. Here we go. Hint: First time, end of time, flack. I know I hit you with some B-sides the last couple times, but I’m taking it easy on you with this one. You know this song, young girl. We’ll see each other when we do. From The Care and Feeding of Ravenously Hungry Girls. Used with permission of Berkley. Copyright © 2019 by Anissa Gray.